What would it be like to fall in love with a prince? Dragged on a family trip to Europe's ancient cities, Becca wants nothing more than to go home. Trapped with her emotionally distant father, overeager stepmother, and a brother who only wants to hook up with European hotties, Becca is miserable. That is, until she meets Nikolai, a guy as mysterious as he is handsome. And she unknowingly finds herself with a runaway prince. Nikolai has everything a guy could ask for—he's a crown prince, heir to the throne, and girls adore him. But the one thing he doesn't have . . . is freedom. After staging a revolt, he flees his kingdom and goes undercover on his own European tour. When Nikolai and Becca meet, it's their differences that draw them together. Sparks fly as they share a whirlwind of adventures, all the while dodging his royal guard. But Becca's family vacation ends in a matter of days. Will Nikolai and Becca be forced to say good-bye when his destiny catches up to him, or will they change history forever? 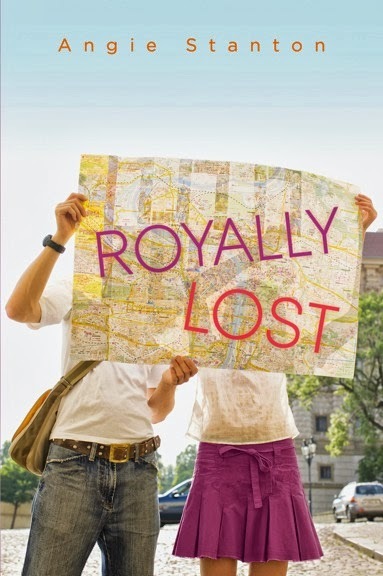 If you’re looking for a a light, fluffy summer book that can be read quickly, Royally Lost is a great pick. It’s the story of one family on vacation in Europe trying to “bond”, and a runaway prince from Moldovia who isn’t quite ready to claim the throne. Becca and her brother Dylan have had it with their workaholic father and the recorded tours on the stops of their cruise. They are ready to break off on their own and explore all that Europe has to offer. Nikolai spots Becca, a gorgeous American girl by chance and the two keep running into each other. Can he convince her to stow away with him? It’s a case of instant crush turned love for Becca and Nikolai. While dodging papperazzi and trying to fend off security from Nioklai’s country, these two love birds are in for an adventure. Meanwhile there are new adult themes of choosing a college and career, breaking the ties with mom and dad, loyalty to siblings and choosing one’s one path. There’s also the side plot of trying to form a relationship with a new step mother after the loss of a mom. Overall, this wasn’t overly deep or moving. It’s an easy read, and I wish the characters would have dug deeper into exploring and taking their rich setting…Costa Rica, Budapest. There are so many thing to see along their path! I wasn’t super attached, as I felt things could have been fleshed out a little more, but I did enjoy Royally Lost. Overall, a fun new “close to clean” addition to the New Adult genre. Angie Stanton never planned on writing books—she wanted to be a Rockette. 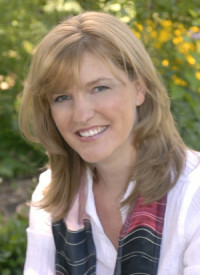 However, growing up in rural America with her brothers’ 4-H pigs as pets, she found that dance didn’t quite work out. Instead, she became an avid daydreamer. After years of perfecting stories in her head, she began to write them down, and the rest is history. When not writing, she loves watching natural disaster movies, going to Broadway musicals, and dipping French fries in chocolate shakes. She lives in Madison, Wisconsin.